Aluminium is a unique metal with a clean and sleek appearance that naturally appeals to the professional specifier and installer. Our products and services are continually recommended by leading Architects, Interior Designers and Contractors having successfully been incorporated in many outstanding projects and applications. 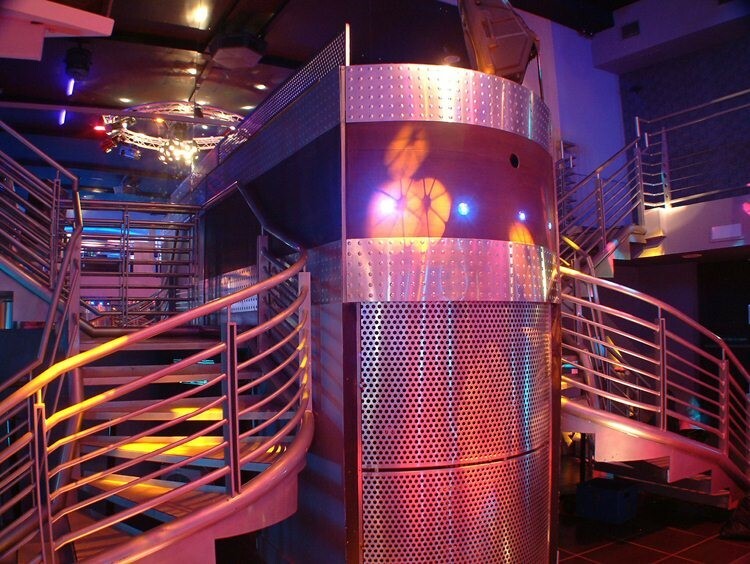 We have supplied bespoke fabricated components, aluminium sheets and extrusions for refurbishment of some of the funkiest clubs and bars in the country and we are ideally placed to supply products on time and within budget. Due to its versatility and when combined with its alloys, aluminium can be folded, formed, machined or worked using a wide range of processes. Thanks to these excellent properties, aluminium has become widely used within an extensive variety of architectural applications. 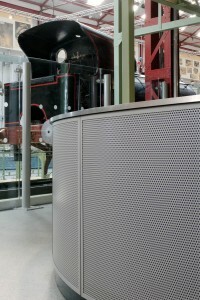 Gooding Aluminium perforated aluminium sheet was used to provide Ironbridge Museum in Shropshire with modern, stylish reception desk fascia. 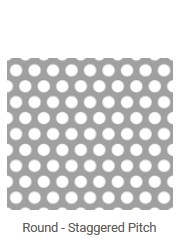 Perforated sheets are available punched in many configurations, including round, square, or hexagonal holes, slots, or special ornamental shapes. 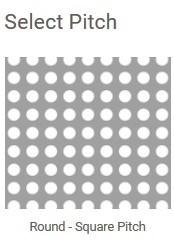 To increase design possibilities many of these patterns are available with different percentage open areas ranging from 6 to 55%. Gooding Aluminium is a national and international supplier of a wide range of high quality aluminium products. 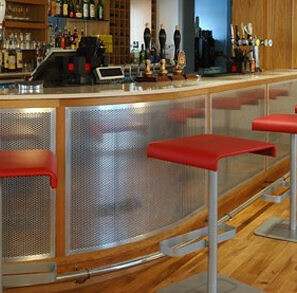 Our bespoke fabrication service produces specially sized perforated panels with un-punched areas and plain margins. 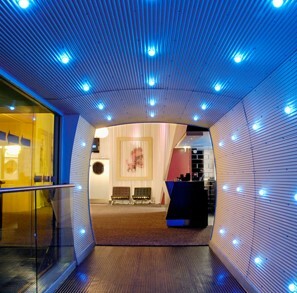 Panels can also be rolled to form single or double curves. 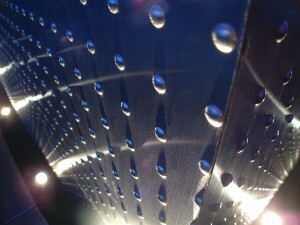 Perforated aluminium sheets can be surface finished to meet your design requirements. Available finishes include anodising, powder coating and satin brushing. 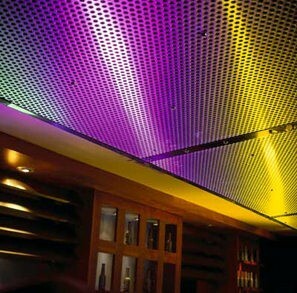 Alternatively, the aluminium material can be supplied in its natural (untreated) mill condition. For more information, visit our website www.goodingalum.com or call us on 0208 692 2255. It was none other than Ludwig Mies van der Rohe, the creator of the Barcelona Pavillion, (which is often described as one of the most beautiful 20th century buildings), who coined the phrase ‘less is more’. Van der Rohe could have been talking about perforated aluminium sheet! What other material simultaneously provides so many design opportunities to combine its inherent strength to weight ratio and corrosion resistant qualities with a widely appreciated aesthetic appeal? 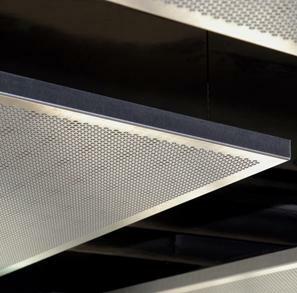 By virtue of these outstanding attributes, perforated aluminium sheet is often incorporated into many architectural components as the primary element. These products would include balustrade panels, bar/counter fascias, ceiling panels, column casings, radiator/vent covers, wall cladding and so on. 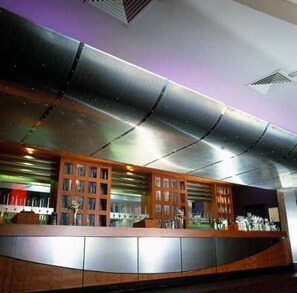 It is often desirable to custom make perforated aluminium panels rather than fabricate from stock size sheets. 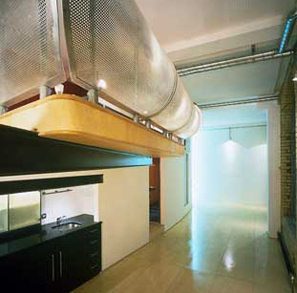 This way the specifier retains much greater design flexibility by being able to incorporate plain borders and other unpunched areas, as well as, cut outs for lighting, vent ducts, etc. With the majority of round hole patterns being arranged on a 60 degree triangular pitch the plain borders are normally lost once pre-punched sheets are cut to size. Unless covered with a safety edge or hidden by some other component the resulting raw edge is a health and safety no no. 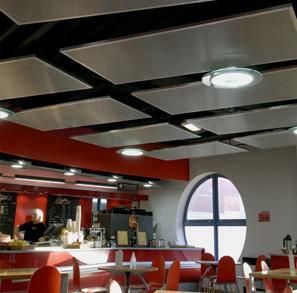 Our modern 5 Star Processing Service accurately and rapidly fabricates Aluminium Suspended Ceiling Panels & Trays to meet your precise specification.